The status quo is not an option at Dispomed. We constantly want to find ways to improve our products. That’s why we present our new column table in its improved version! 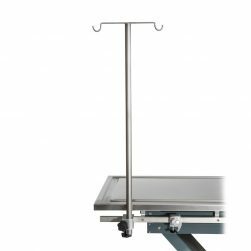 Easy and quick to adjust to the ideal height, made in Canada with the Dispomed 5-year warranty! Painted base, more scratch resistant and less messy.